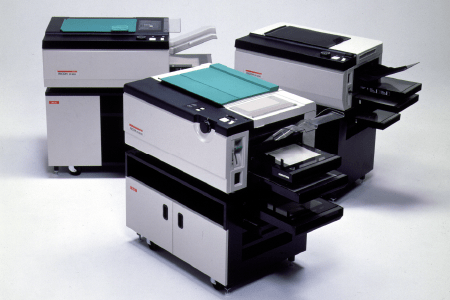 In 1974, Ricoh launched the RIFAX 600S, the world’s first high-speed office facsimile machine. In 1977, we coined the acronym Office Automation, for office automation. During the 1980s, we extended our office productivity support by rolling out a lineup that included computers and word processors, optical filing systems, and laser printers. 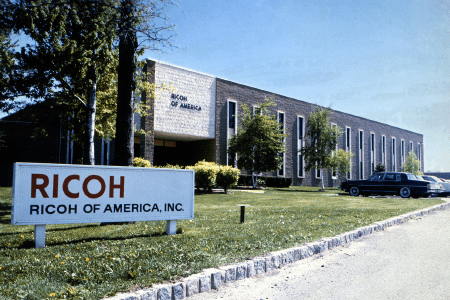 Ricoh of America, Inc. established in New Jersey ( running until 1984), through integration of New York office and Ricoh Industries U.S.A., Inc. The global success of its hit products provided Ricoh with a stream of opportunities to form technological tie-ups with leading manufacturers in various regions. To facilitate these activities, we set up local affiliates in Taiwan, Korea, the USA and the Netherlands, raising the recognition of the Ricoh brand outside of Japan. 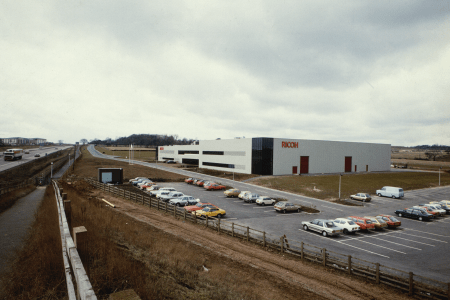 The earliest of these was Ricoh of America, Inc., founded in 1970 as the headquarters for our activities in North America. 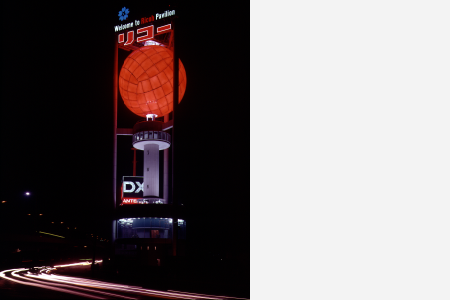 Ricoh Pavilion appears at Japan Expo '70 with theme "Better Vision for Humanity". 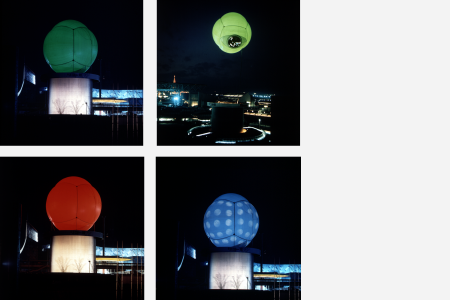 In 1970, Japan Expo ’70, the first world’s fair in Asia, was held in Osaka over 183 days starting from March 15. Ricoh participated in the event by setting up a pavilion, which was created fully utilizing its technological achievements and in line with the exposition’s overall theme of “Progress and Harmony for Mankind.” Our extraordinary exhibition feature a host of unique ideas that impressed many visitors and attracted a total of more than 7 million people at the Ricoh pavilion over the entire period. Ricoh introduces the “RICOM 8”, the first office computer. 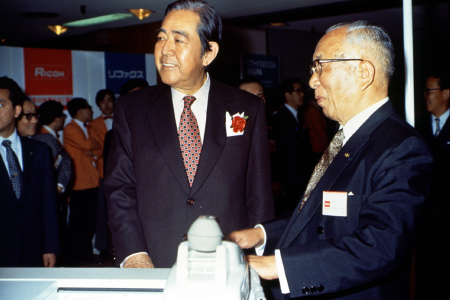 Ricoh was a pioneer in the field of office computer development that saw rapid growth in Japan in the 1970s. This is illustrated by the 1971 introduction of the RICOM 8, the company’s first office computer, which was developed jointly with TDK. The embedded magnetic core memory with a 2/4 kilobyte capacity and 64-bit CPU demonstrated exceptional (at that time) storage capability and high-speed performance. The product was also highly regarded for its space- saving tower-structure design. Atsugi Plant, Japan founded as key manufacturing base for business machines and communication and information systems. Total Quality Control campaign intoroduced. Ricoh Nederland B.V. established in Holland (renamed Ricoh Europe B.V. in 1986). Ricoh launches the “RICOH PPC900”, its first dry-electrostatic-transfer plain-paper copier. Ricoh Electronics, Inc. (REI) founded in the USA. 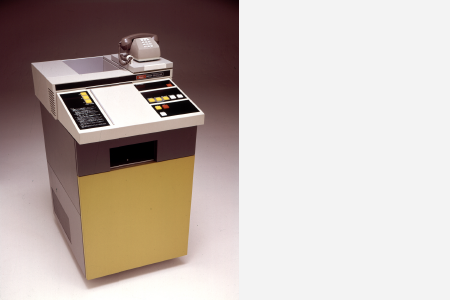 "RIFAX 600S", first high-speed facsimile machine for offices, succeeds in transmission between Tokyo and New York via satellite communications. 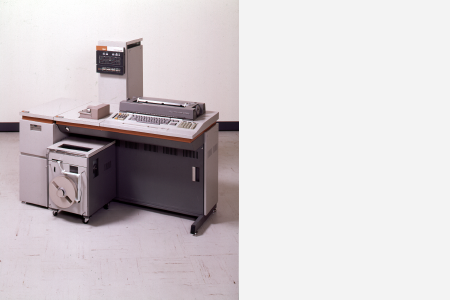 RIFAX 600S was the world’s first high-speed facsimile machine for offices, designed to be able to transmit an A4 page in 60 seconds—an outstanding performance compared to the three to six minutes required for contemporary standard models at the time. The product was also capable of international transmission. 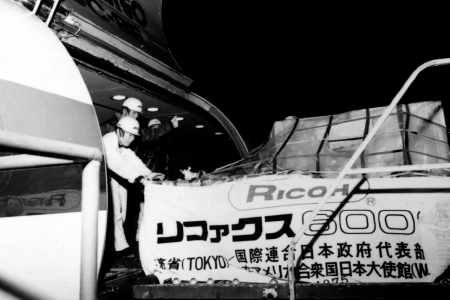 At the product launch conference held in April 1973, a transmission demonstration was successfully conducted between Tokyo and New York via satellite communications, establishing the global reputation of Ricoh as a leading technology brand. This machine was included in the Essential Historical Materials for Science and Technology list (No.00170) for fiscal 2014. Rapifax Corp. established in the USA for marketing of facsimiles (renamed Rapicom, Inc. in 1978). Ricoh Optical Industries Co., Ltd. founded in Iwate Prefecture, Japan. Ricoh launches the “RICOPY DT1200”, a wet-type plain-paper machine that becoming the world's top-selling copier. The new RICOPY DT1200 was developed to satisfy the ever-higher expectations of users for plain-paper copiers (PPCs) at that time. We offered this model with confidence as a reflection of its strong features, namely, a single touch switch between two different paper size feeders, marking the first time that such a function had ever been employed for popular model PPCs; a liquid development method employed to consume the entire supply of toner loaded in the machine; and stable functionality for quality results, proven even with one million pages running consecutively, thus reducing the amount of required maintenance work. These superior specifications were highly regarded by many users, particularly in the USA, where in general, availability of maintenance service was geographically limited. 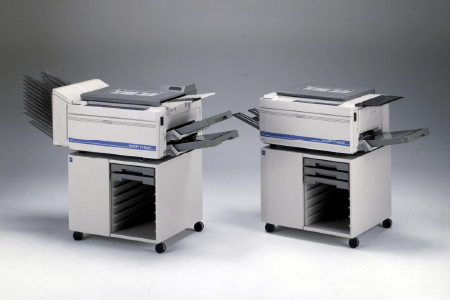 In 1991, the RICOPY DT1200 was enshrined in the nation’s Copier Hall of Fame to acknowledge the significant role the product played in the history of wet-type copier development. 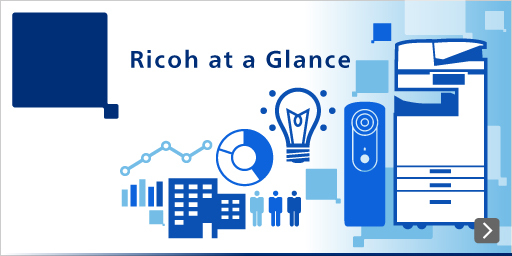 Ricoh becomes the first recipient for the Deming Prize in the office automation industry. 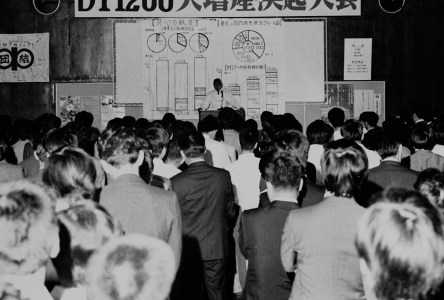 In November 1971, Ricoh introduced a total quality control (TQC) campaign, aiming to build a recession-proof robust corporate structure. 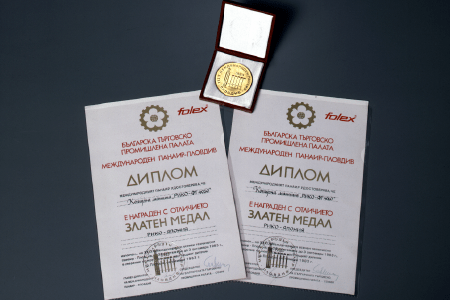 We began to conduct various TQC activities throughout the company to improve its management systems, setting as the goal the winning of the Deming Prize, the world’s top quality control award. 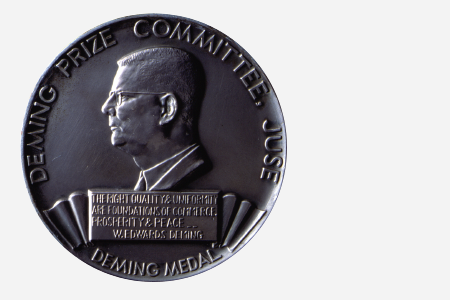 As a result of consistent efforts over the ensuing 46 months, on November 17, 1975, Ricoh became the first office machine manufacturer to receive the Deming Prize. This recognition served to verify our successful structural reform directed at growth in the coming era. “RIFAX 600S” plays active role in Montreal Olympic Game. The corporate headquarters completed and opens at Aoyama, Tokyo. Ricoh introduces the acronym OA, for office automation, at CeBIT in Hannover. Ricoh Deutschland GmbH established in Germany. Construction of Numazu R&D Center completed in Shizuoka Prefecture, Japan . Ricoh Business Machines, Ltd. founded in Hong Kong (renamed Ricoh Hong Kong Ltd. in 1987). Ricoh Systems, Inc. established in California to carry out R&D (later merged with Ricoh Corporation in 1987). 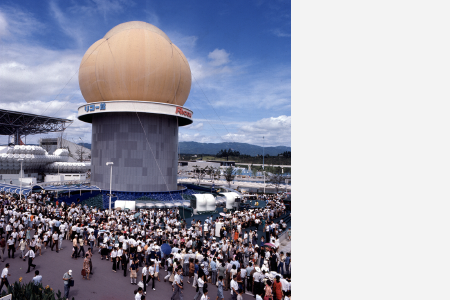 Materials R&D Center formed at Numazu R&D Center, Japan (renamed Chemical Products R&D Center in 1990). Toda Technical Center established in Atsugi, Kanagawa Prefecture Japan. Ricoh begins marketing Ricoh brand dry PPCs in Europe. Service Parts Center established in Atsugi, Kanagawa Prefecture, Japan. Ricoh begins marketing Ricoh brand dry PPCs in North America. Construction of Ricoh Electronics Development Center completed at Osaka Plant, Japan. Fukui Plant, Japan, founded for production of sensitized paper. Ricoh introduces the “RICOPY FT4060”, the first dry-toner plain-paper copier. The RICOPY FT4060, an A3-page plain-paper copier (PPC) complete with a zoom feature, enjoyed phenomenal market success, with a total of 100,000 units sold in 10 months from its release. Keys to this success were the model’s high definition quality, operational durability and compact body. These properties were achieved through an effective combination of a newly developed electrophotographic imaging system and many other technologies related to mechanism and supply items, including toner. Also, with increased availability for paper type and size, this innovative PPC model contributed considerably to raising the efficiency of duplication work in offices. Hatano Plant begins operations in Kanagawa Prefecture, Japan. Ricoh introduces the “RICORE 3000”, a digital document processor. Takeshi Ouye appointed chairman and Hiroshi Hamada president. Ricoh launches the “RICOH LP4120” laser printer. 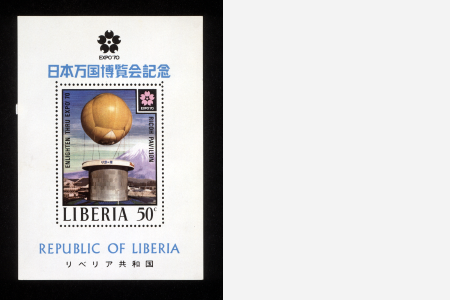 Ricoh launches the “RIFAX 1300”, a first plain-paper facsimile machine. 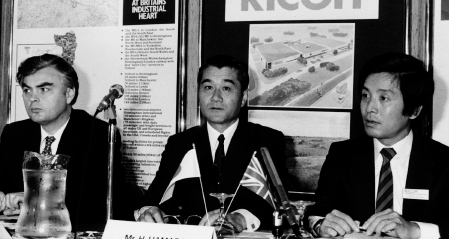 Ricoh UK Products Ltd. founded. 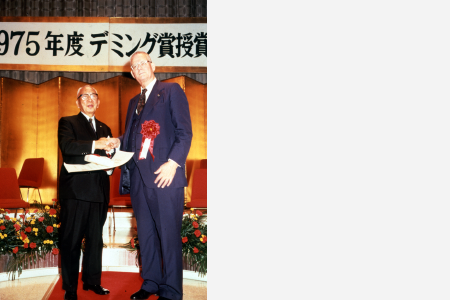 In the 1980s, Ricoh proactively pursued global business development. Export sales grew to account for 34.1% of the total for fiscal 1978, and operation bases were set up in new locations around the globe. Major subsidiaries established at that time included Ricoh Electronics Inc., a manufacturing company for office automation equipment founded in California, USA, in 1979; and Ricoh UK Products Ltd., a manufacturing firm established in Telford, UK, that went on line in December 1983 to produce office automation equipment. Following expansion in North America, an earlier target region for advancement, we began to focus on Europe to build the foundations for future growth. The “RIFAX 1300HS” awarded Nikkei Product Excellence Prize. Chairman Takeshi Ouye passes away. Ricoh Corporation established by merger of Ricoh of America, Inc. and Rapicom, Inc.
Ricoh establishes Manufacturing Technology R&D Center at Atsugi Plant, Kanagawa Prefecture, Japan. Imaging Technology Development Center established at Ohmori Office, Tokyo, Japan (renamed Imaging Technology Center in 1995 and then Imaging Technology Division in 1999). General Electronics R&D Center formed at Ohmori Office.